The good news this week is I did get some sewing in. Unfortunately, I can't count a whole lot of it out because I didn't finish anything, but progress was made. I used some stash for the binding of a table runner, made more butterfly blocks, and did a little quilting on my Kaleidoscope. The bad news, at least for the stash report it's bad, I bought some fabric. Well, a lot of fabric I guess. Every year Pam from Del Ray Fabrics has a tent sale in her backyard and she always invites the DC Modern Quilt Guild. Last year I didn't go because I was hugely pregnant and exhausted. This year I didn't want to miss it, and I'm glad I didn't!! I had told myself when this line came out that I would have to pick a few prints that I really wanted, but I wasn't going to buy the whole line, way too expensive. As soon as I walked into the tent sale I saw this bundle, and decided to just see how much she wanted for it. It was marked down to more than 50% off of the cheapest price I had found online. Needless to say, I cradled it in my arms like a little baby the whole time I browsed. It was coming home with me! 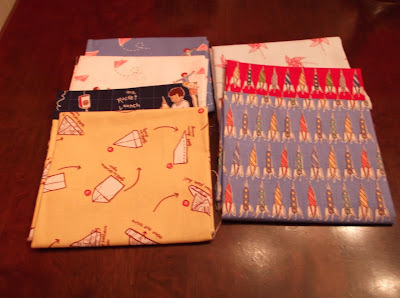 I also picked up a few fat quarters of Children at Play by Sarah Jane. So cute! 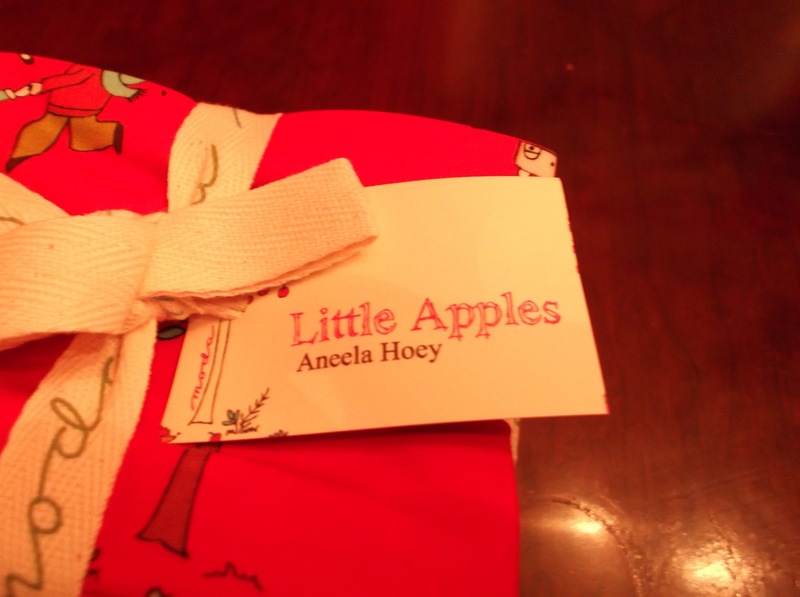 Perfect little boy fabric. Lucky me, I have two of them! Thanks Pam! You made my day! I really can't speak highly enough of Del Ray Fabrics. Not only does she have a great selection, but she is so incredibly generous. 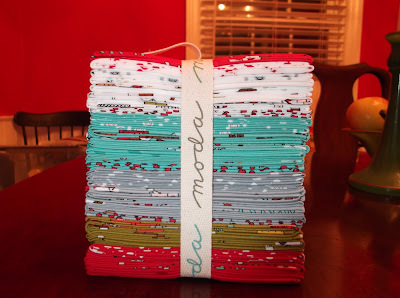 She donated a ton of beautiful fabrics to the 100 Quilts for Kids drive. If you are on the lookout for a new online fabric source, please look them up. My goal this week is to finish up my Kaleidoscope quilt and make more butterfly blocks. To see what everyone else is up, go to Judy's. What a deal!!! Sometimes, you just have to buy it. Sounds like your money is supporting a valuable small business. Great purchases - glad you were able to find them. What a steal!! I love those fabrics. I found you via the FNSI link. Nice to meet you. I'm your new follower. :o) I have one little boy and can't resist a good "boys" fabric either!